I would like to admit that I am not that kind of super-picky-and-read-all-the-reviews-before-buying-a-makeup kind of person. People's opinions won't stop me. I know that it is important to know what you are buying, but seriously, trying and proving it by yourself are so much better. I do read reviews on make-up brands and products- just so I know. That's probably the reason why I am writing this make-up review; because someone out there might want to know a tiny-bit about the product before she or he is going to purchase it. So here I am with another review on Shu Uemura. Bare in your mind that it is a pressed powder (compressed loose powder), so do not expect a foundation-like properties, ok?! It will not give you a full coverage; the texture is very light. But I think as long as you use it along with your favorite foundation, it will manage to work well. After using it for about 4 hours, I feel that my skin (my-oh-so-oily-skin) gets a little shiny but it doesn't build up or look powdery after several applications over the day. The packaging is so compact, yet elegant- 'very Shu' as I can say. It is a square glossy black compact with a flat brush stored on top of the pan and a mirror. I read that some people prefer to use sponge as the applicator because it works better- so I might try it later. Well for the price, umm.. it is not the cheapest, obv! The packaging costs extra, which is 240,000IDR. 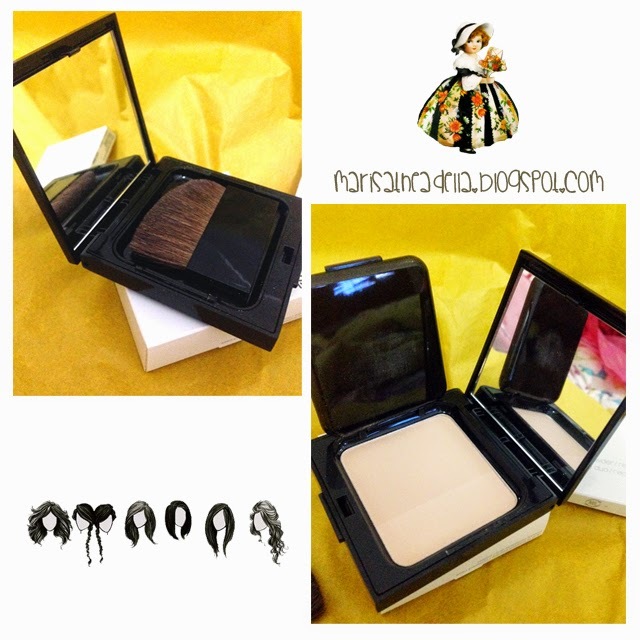 But you are able to refill only the compact at IDR430,000 if you want to repurchase it. Sounds more affordable I guess?! I definitely gonna switch my previous face powder (Lancome Teint Miracle) to this. However I do think that it's a lil bit pricey at first- but not for the refill.